For SaaS owners, the cloud has become fundamental to business growth. Rapid advancements in cloud infrastructure over recent years have given rise to a new wave of technology firms who are able to provide powerful software solutions to millions of customers across the globe directly via the internet. However, as a SaaS provider’s business grows as it takes full advantage of the cloud-based model, its IT requirements grow along with it. Cloud managed services takes away the burden of managing and maintaining the cloud environment, allowing SaaS owners to focus on doing what they do best – building great applications and landing even more new customers. Despite the fundamental importance of the cloud, it’s extremely difficult (if not impossible) for a fast-growing SaaS company to create an in-house team dedicated to ensuring the smooth running of cloud systems and infrastructure without losing focus on their core business. And this is where cloud managed services comes in. Put simply, cloud managed services refers to the outsourcing of daily IT management for cloud infrastructure. All SaaS providers require their cloud environments to be regularly managed, monitored, maintained, and updated, and they need dedicated people to do it. Cloud managed services providers take care of it all, managing cloud security, computing, storage, network operations, application stacks, and more, freeing SaaS providers to devote more time to their business. Also see: What Is Managed Cloud Services? Today, more and more companies are choosing cloud managed services to take advantage of cost-effective and well-managed computing resources, as well as increased reliability and flexibility. As such, the cloud managed services market is witnessing accelerated growth. According to a recent report from Markets and Markets, the global cloud managed services market size is projected to grow from USD 27.15 billion in 2017 to USD 53.78 billion by 2022, at an expected CAGR (compound annual growth rate) of 14.6%. As the report’s authors put it: “Managed services help [enterprises] to outsource their less important activities and focus on their core business requirements. Cloud managed services can finally get you back to doing what you do best without the hassle and stress of managing your own infrastructure. Here are the top three benefits of utilising cloud managed services as an integral part of your cloud and business strategies. One of the greatest advantages for SaaS owners when they partner with a trusted cloud managed services provideris the savings that can be realised through outsourcing all of their cloud maintenance support. Staffing a full-time in-house team is extremely expensive, and wholly unnecessary when expert cloud managed services providers can deliver round-the-clock, dedicated services at a fraction of the cost. A further advantage surrounding costs is found in the flexibility of cloud managed services. When you partner with a provider, you decide on a fixed monthly service plan that’s customised to meet your precise needs and budget, meaning you have predictable, recurring monthly costs, and can optimise the amount you pay for ongoing infrastructure support. Cloud managed services solutions are inherently flexible. Your provider will fit the solution to your business’s precise needs, and proactively explore and identify enhancements that can be made to directly support your business’s key objectives. Flexibility, of course, also gives rise to scalability – a vital component in any growing business’s strategy. Cloud managed services provides scalable solutions that can accommodate rapid changes without any hassle or hiccups experienced in the service you deliver to your customers, easily fulfilling the growing requirements of your business, while simultaneously eliminating the risk of downtime. Cloud managed services are indeed ideal for SaaS companies that are experiencing rapid business growth, as they can take full advantage of the scalability that cloud services offer. In short, cloud managed services have the flexibility to accommodate your business today, and grow with you in the future. With cloud managed services, SaaS owners can expect an extremely reliable service due to the fact that managed cloud providers maintain around-the-clock control of the cloud environment, constantly monitoring performance, and ensuring that any issues with the system are dealt with right away. The cloud managed services provider ensures that the cloud infrastructure is continuously functioning at optimal levels, and takes measures to identify potential threats. And with high reliability comes high availability. With optimum bandwidth, data storage and uptime, SaaS providers can rest assured that their services will go uninterrupted, even with heavy loads. This ensures once again that you can remain focussed on your core business strategies – expanding your customer base, and keeping your existing customers happy with a reliable, high-performing service. A cyberattack or data breach can put a business’s entire operation at risk. This is especially true for those SaaS companies that deal with sensitive customer data, such as those in the government, healthcare and financial industries. With cloud managed services, SaaS owners can leverage a Disaster Recovery (DR) solution that will back up the cloud environment in its entirety, including applications, operating systems, customer data, file systems, and existing configurations to a safe location. DR involves a set of policies, procedures, and infrastructure architecture which enables the recovery or continuation of essential IT requirementsfollowing any disaster. In this way, business operations can keep on running with minimum or even zero downtime. With cloud managed services, SaaS providers enjoy the support of a dedicated team of engineers whose expertise can be relied upon 24/7 to make informed decisions about their infrastructure, rather than relying on their own basic research or guesswork when issues arise. Cloud managed services providers will constantly assess, monitor and repair any infrastructure or network issue, ensuring that the entire environment is reliable, sturdy, and functioning at optimum levels at all times. In addition, SaaS providers can expect exceptionally quick response times to any query or support issue they may have. At Zsah, our highly-specialised UK-based support team is accessible 24 hours a day, seven days a week, and can be contacted through multiple channels – including phone, email, or instant chat – ensuring you’ll always get the support you need, whenever you need it. SaaS owners around the globe are realising that they are wasting valuable development time managing infrastructure, and so are turning to cloud managed services as a cost-effective, scalable, and highly reliable solution. 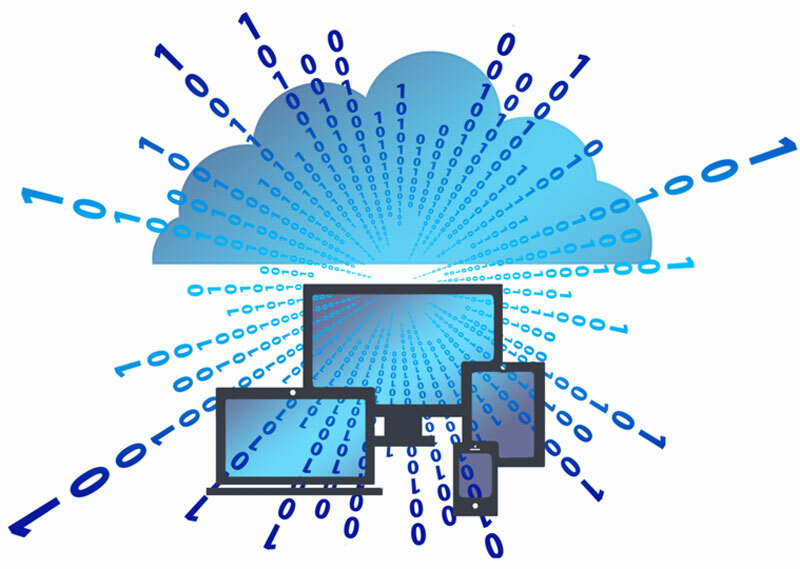 At Zsah, our cloud managed services solution manages infrastructure and applications on our own cloud platform, as well as integrating your public cloud, such as Amazon Web Services or Microsoft Azure. We constantly monitor and pre-empt any potential issues, meaning you no longer have to devote time and manpower to managing your own infrastructure. As a truly managed service, we work hand in hand with you to provide a solution that is perfectly tailored to your business and your customers, while providing you with the 24/7 support you require. Get in touch to find out more about our cloud managed hosting solutions.